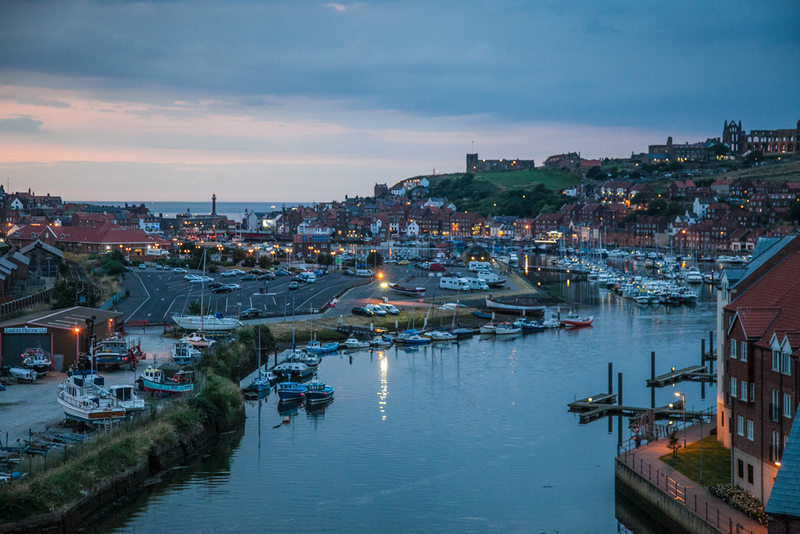 If the romantic, literary moiety of your soul needs an infusion of traditional English indulgence, you could do a lot worse than repair to the East Yorkshire seaside town of Whitby. 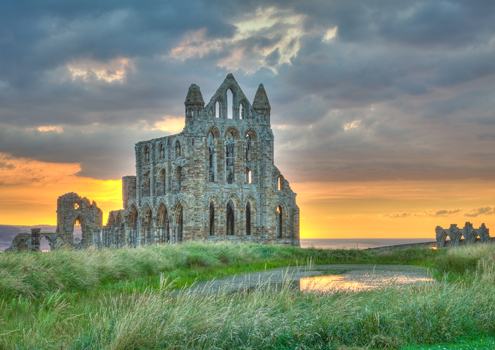 With the ancient peaks and haunted heights of its ruined abbey having played home to England’s first poet, Caedmon, and later shelter to that evilest of vampires, Dracula, in Bram Stoker’s nineteenth century gothic novel of the same name, and its maritime memorials to Captain Cook and William Scoresby, this phantasmagorically beautiful fishing hamlet fires both the imagination and the spirit in spades. 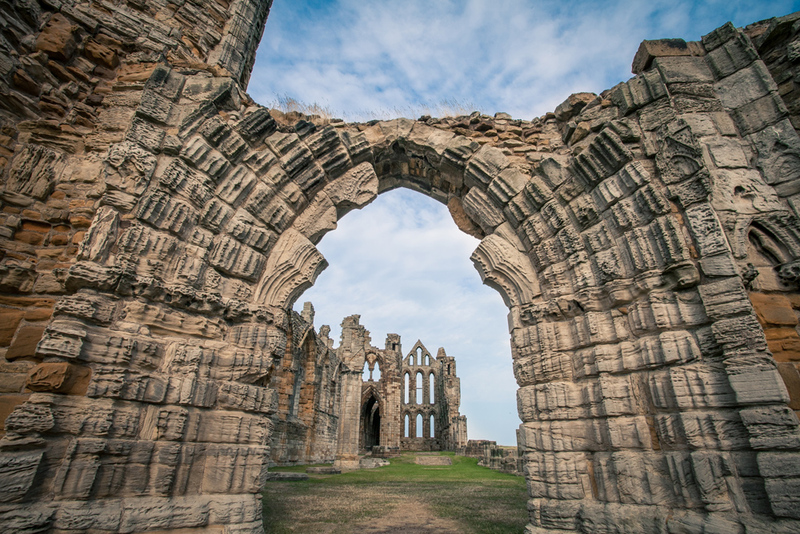 The abbey is a ruined Benedictine specimen, disestablished in Henry VIII’s famous Dissolution and, now a Grade 1 Listed Building overlooking the bleak North Sea of the town’s East Cliff, it is one of Yorkshire’s greatest ruins. 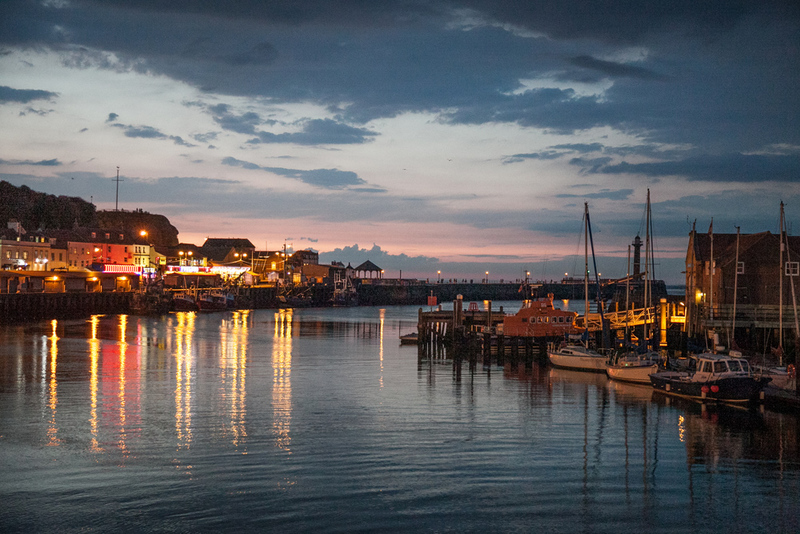 As you take the 199 steps down toward the harbour, stunning views and quixotic vistas present themselves at every turn, until you make your final descent into twisty weinds and shaded alleys lined with bric-a-brac and curio shops, cafés, restaurants, tearooms and inns. And, of course, those famous fish and chip shops. 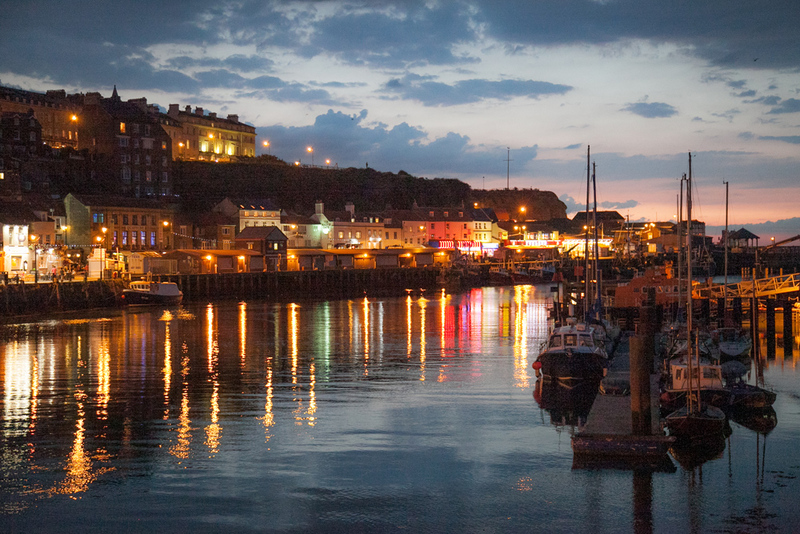 Whatever the style of your sojourn to this picturesque retreat, you must at some point sample Whitby fish ’n’ chips. Whether eaten out in the fresh air as nature intended, or ingested enthusiastically in one of the many excellent eateries, this North Yorkshire delicacy is to be savoured with relish. Then, replete and with your evening rounded nicely with a mug of the finest Yorkshire ale, you can turn your gaze once again abbeywards, heaving a sigh of melancholy satisfaction before bending your steps homewards, wherever you may have chosen to lay your weary head for the night.